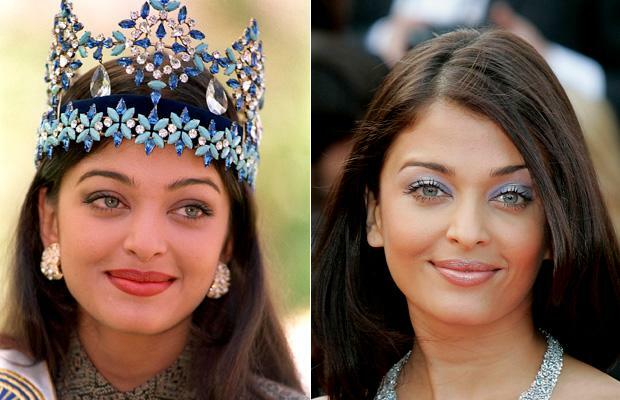 Of the many beauty queens who made it to the silver-screen, only a few tasted success. Check out who all made it and who all didn't. Though her acting skills are debatable, she has carved her own niche when it comes to celebritydom. No other beauty queen has made it big like Ash, and she's even had a brush with Hollywood, though not as flattering as her domestic one. Though Diya Mirza, the Miss Asia Pacific 2000 was lucky with her debut flick 'Rehna Hai Tere Dil Mein', she somehow failed to stay in the race. But, thanks to her charm, she is still a darling of many designers. If you were asked to pick a memorable role of Lara, you'll definitely have a hard time. Though she was the one who crushed Priyanka Chopra's Miss India dreams in 2000, the latter outwitted her in acting skills, and went way ahead of Lara in Bollywood. Femina Miss India 2002 Neha Dhupia's Bollywood affair is a decade old, and she still keeps going on with no big hits to boast of. Parvathy Omanakuttan is the latest beauty queen to enter Bollywood. Her 'United Six' failed to make an impression. She is 23, and has got many years in her hand, but it's going to be a hard race for her if she is aiming for an acting career. Yukta Mookhey, the Miss World 1999 is sinking into oblivion. She has only 4 hindi movies, a Bhojpuri movie, and an item number in a Tamil flick to her credit so far, and none of them were hits. Priyanka's success scale lie between that of Ash and Sush. After a few initial flops, she has finally found her place in Bollywood and was lucky to prove her mettle by grabbing a variety of roles in a relatively young career. Though Sush has conquered our hearts with her charm, she was a failure on big screen. Still, she maintains to stay on showbiz through endorsements and charity works. Munni vs Sheila : Who is the winner?